New Year, New Look: Major Theme Updates for WBO X! Back in December 2016, we launched a complete WBO rebrand as part of our 8th Anniversary celebrations, which included a brand-new responsive theme across our entire site. But unfortunately, despite all the immense benefits the new design offered, many features were lost in the transition to this design. As you can see already; today, we launched our much anticipated rewrite of our now-feature-complete Responsive theme, and have also deployed a number of brand-new features to improve your experience across the site! In this thread, I'll be going over some of our brand-new features and what they mean for you and your communities, as well as touching on a few of our future plans as well. Ever wanted to know exactly how you did in a tournament - the tournament, the result, how many points you gained - all at a glance? Meet our Battle Histories! Battle Histories are your main point of interest for all of a Blader's tournament progress. By heading over to a Blader's user profile - for example, yours or mine! - you'll be able to see the results of Bladers within any processed tournaments that they've taken part in, alongside a breakdown of their running BeyRank scores and total wins and losses! Please note that this feature will not appear on the profiles of Bladers who have not participated in any processed events! If you want to build up your Battle History portfolio on your profile, consider joining one of our Organized Play tournaments in your area! 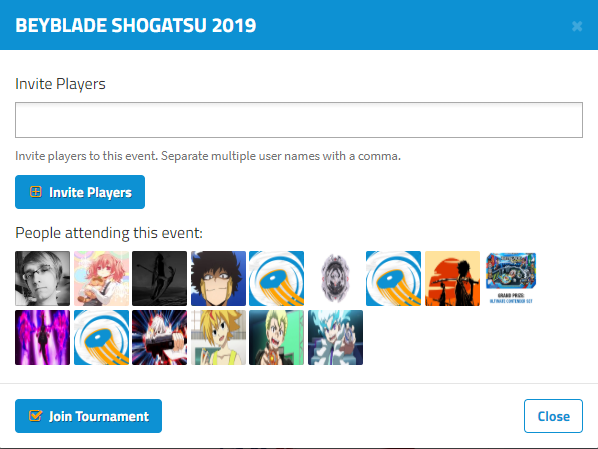 Included on event pages for tournaments which have been processed into our rankings (like this one) is a new section at the top called "Tournament Results". 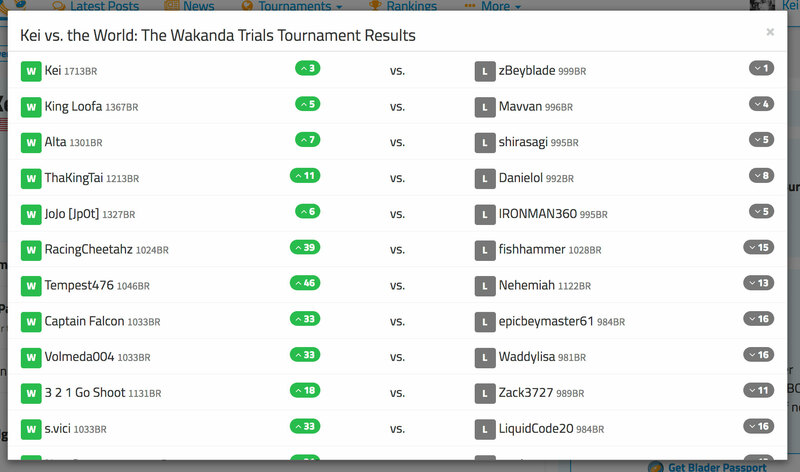 Clicking "View Matches" will pull up a window listing all of the matches for all users in that specific tournament. This way, you now have the ability to not only view a specific set of matches for a specific user (Battle History described above), but the ability to view a specific set of matches for a specific tournament. Your tournament thread has been approved, the words "0 Bladers registered" staring into your soul, but there's no easy way to invite Bladers in your community to your tournament! Well, this one will make Organizers everywhere rejoice! The ability to send Tournament Invitations to other users on site has now been added! 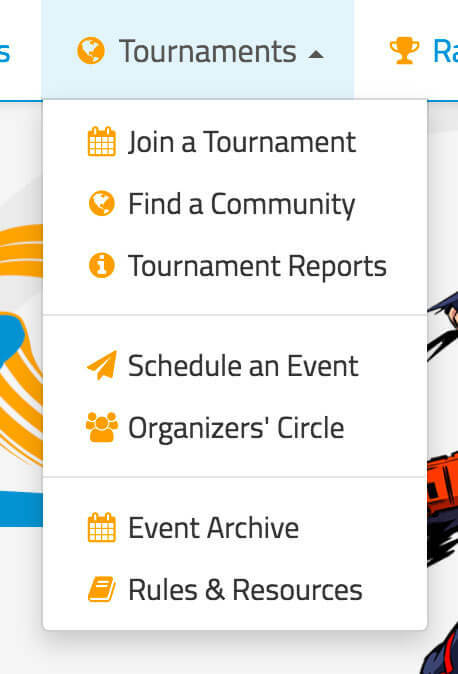 Organizers can now click a new "Invite Participants" button located on their tournament thread to instantly send PMs and notifications to chosen Bladers about their event! However, as we've carefully mentioned above, this feature is currently only available to Organizers while we test the stress this has on our servers. Hopefully one day we'll be able to open up the criteria further but, for now, this feature should serve as a fantastic tool for Organizers to use to transform that 0 participant count into a 10, 20, or more quickly! We touched on this feature back during BeyDays 2018, and launched it at around the same time as well. So why are we mentioning it again? Well, Organizer Processing was always designed with our theme rewrite in mind, and we're happy to report that as of today, we've reached our final version of this feature, with full support for the theme rewrite and all the bugs ironed out! For those who aren't familiar with the feature, Organizer Processing has allowed tournament organizers to enter in the results for tournaments themselves using a specialist tool, and then save them for our Organized Play team to hit the button and process! With this process and new tool, what used to take ~30 minutes per tournament for the Committee to do now takes Organizers and the Organized Play team under a minute to do from start to finish! An incredible improvement! 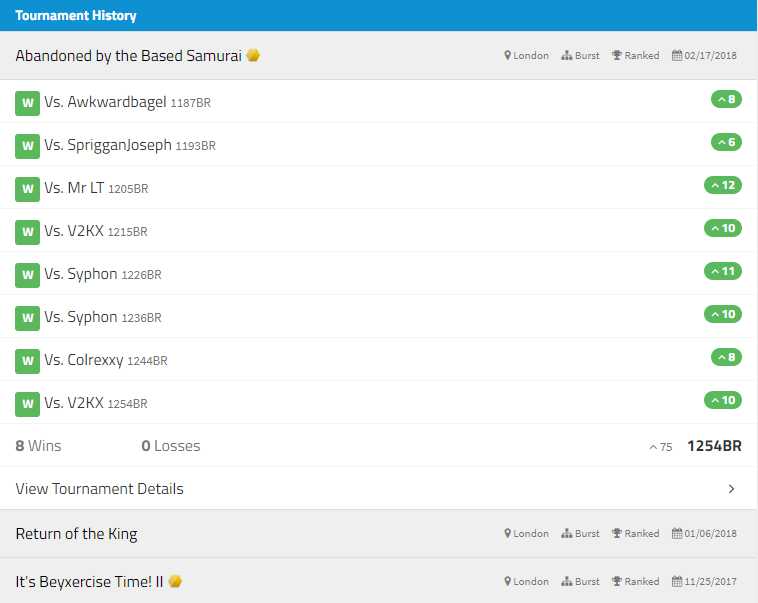 And of course, if you find yourself looking at an older tournament thread - perhaps having clicked the link for one in our new Battle Histories feature! - you're now able to see the winners for that event on the top of the thread! The Tournament Results option will also show you the results for all matches that took place within that tournament as well! Go check it out! We've been keeping a close eye on the layout of our tournament threads and looking closely into what we can do to streamline and simplify areas for both attendees and Organizers! Ready for an onslaught of quality of life changes for our tournament thread layout? Here we go! The Admission Fee box now has a dedicated area for notes pertaining to the admission fee! This is particularly useful for those Organizers who host convention-based tournaments and require all participants to visit somewhere else to get a convention ticket, or for tournaments that take place within a shop and require admission fees to be paid at a specific desk. The possibilities are endless, so use this how you see fit! 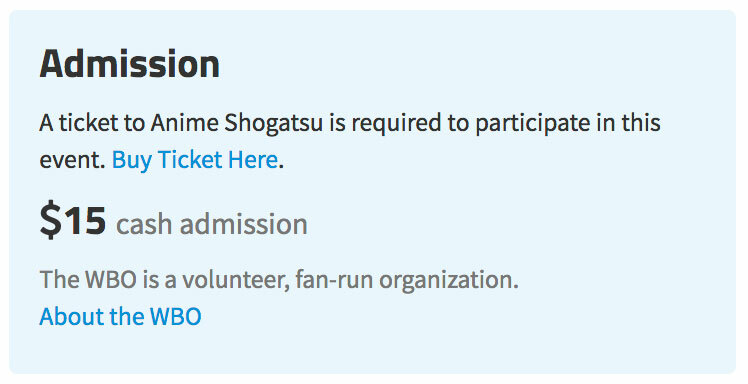 We've also made it so the Admission Fee box no longer shows the "Passport admission fee" if both prices are the same. This was a confusing area for attendees of convention-based events specifically, where both prices were almost always the same and raised more questions than answers. "Burst Format", "HMS Format", "Plastics Format, "Zero-G Format" - We get it, there's a lot of different Formats in Beyblade, and it's not always easy for everyone to tell if they Beyblades they're collecting are appropriate for a certain tournament. So we've added an image representation for these within this box, along with a button to direct you to the appropriate rulebook! We hope this clears up some of the confusion that can occur when planning what to take from your collection for a specific event! With tournaments in the past year hitting an all-time high, it has become harder and harder for Organizers to inform each and every participant about guidelines and registration, so we've taken the liberty to add a "Need-to-Know Information" section! 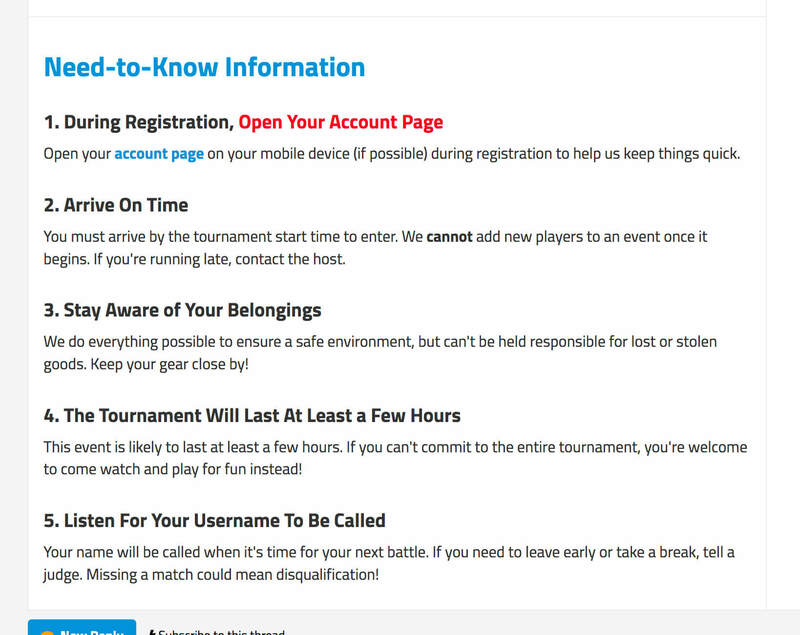 This will appear by default on every single tournament thread, so we hope that these fixed guidelines help our Organizers by making attendees aware of some common questions and concerns, and how to help speed up their registration experience! 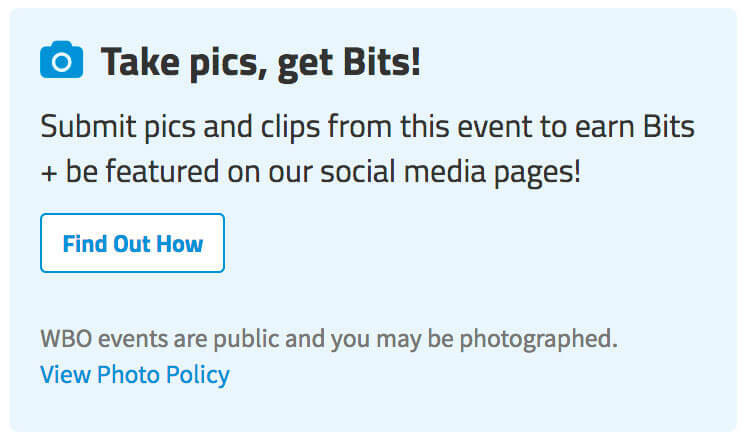 We've revamped our Social Media module and implemented a fancy new interactive module for submitting tournament footage to our Social Media team, as well as an alert to make all attendees aware of the WBO's Photography Policy and their rights to not be included in footage. We're not done yet! We've also made some key adjustments to our index and navigation bars to help get you to the information you want to see quicker! Some of our most important resources and locations were difficult to reach, so we've condensed them into handy drop-down menus in the navigation bar to ensure that they're always with you! We've also heard you guys loud and clear, and have added a quick option to our Upcoming Tournaments list to jump straight to our main tournaments forum! In the Summer months when we have more tournaments than we can realistically advertise on the main page, you'll thank us! 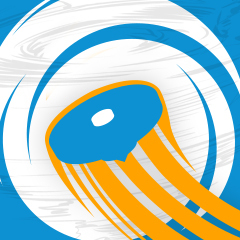 In each of the main Beyblade Hobby-related forums, tournament forums, and Discuss worldbeyblade.org we've added featured images to the top right corner to help communicate what the forum is about and make the page just a little bit more visually interesting. Check out all of the forums to see the images in use! These may be changed or new ones may be added over time. We've also re-enabled our Forum Rules dropdown within forums with applicable rules! You can find these at the top of a forum, and can be opened with the arrow on the right hand side! We'll be updating these very soon, so stay tuned for that! What, you want even more?! Expanding Tournament Invitations to attendees. The ability to send Tournament Invitations to potential participants based on actual locations. Thank you for all your patience with this upgrade over the past two years! It's safe to say that you're now using the latest and greatest version of the worldbeyblade.org site yet, and we hope that you enjoy using and browsing it as much as we've enjoyed making it! Right now we are aware that the Alerts modal window is not working on mobile and will be working to fix that ASAP in the morning. Sorry for any inconvenience! (Dec. 05, 2018 1:52 PM)~Mana~ Wrote: All reported issues regarding the alerts window should now be resolved. Thanks for your patience guys! H Y P E. I came on this morning just to check my notifications, and wasn't expecting this!! Happy B-Day, WBO!!!! Hello, stalker! This is my profile. I am a young (13) California blader who knows way too much about beyblade prices! I'm a MFB blader that started back when I was 7, but I've been trying to integrate into a full burst blader. Drain Fafnir is my love and joy. My art skills are as good as Valt's (so terrible), and my energy level is off the charts (Unless it's monday). I say sometimes being cynical can be a good thing. If your ever around the IE (Inland Empire [California]), hit me up for a battle! I'm so excited to finally make these improvements available to all of you! Most of them have been a long time coming. Huge thank you to ~Mana~, Tomm our developer, and also Bey Brad for all of the work he did to conceptualize some of this stuff during our anniversary a few years ago as well as the help he provided over the past few weeks implementing some of the features. I remember distinctly for instance three to four years ago talking about improving how we handle the metadata of tournaments, and now seeing that we have battle histories with much of that data associated with them posted on each user's profile as well as a listing of the matches connected to the event pages is so great. We still have a lot of hopes, dreams, and ideas for the future, but we're certainly in a much better place now than we were years ago. Add to Organizer Processing feature, where you can enter the e-mail and the user name from the registration pages(paper), and the system will send the e-mail with the password selecting link. Want to become a Author? PM to me. If Blader Map coming back soon? (Feb. 02, 2019 8:34 PM)ks123 Wrote: If Blader Map coming back soon?